Looking for down & dirty beats on an island run by house & techno? Well, we’ve got a crew for you! 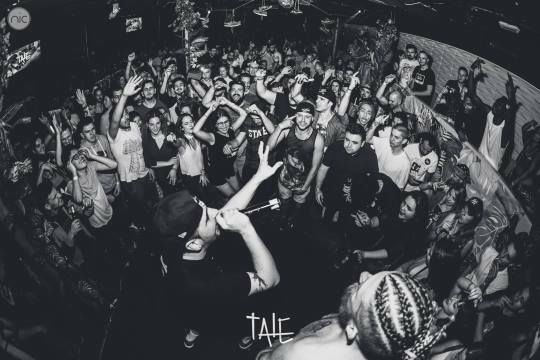 Tale are hip-hop and trap promoters, DJs and MCs that have grown steadily in Malta since their debut in May of last year. 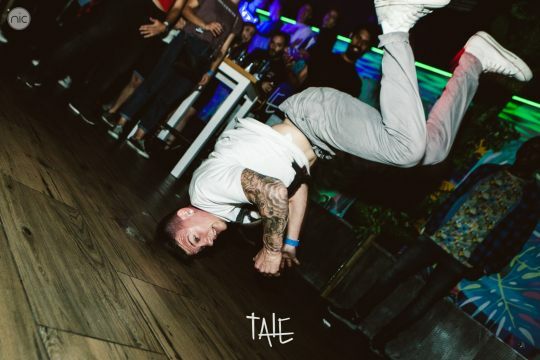 Tale is run by a handful of French and Dutch (and one English) expats who, inspired by the bustling hip-hop scene in France, noticed an absence of this in Malta and responded accordingly. Throwing parties on both land and sea, their crowd is drawn from the central cities of St. Julians, Sliema, Gzira and Msida where a colorful mix of Maltese and foreigners make up the gist of their crowd. From their amazing kickoff at the Funky Monkey, they have attracted the curious ones from the popular music scenes on the island to an increasingly growing hip-hop and trap community. The party took place at the Funky Monkey, which only a year ago was a backyard bocci ball club that was not obvious to everyone. The location is on the shipyard that is Manoel Island, just off the beaten track. “We were lucky how the night went along,” says Adrian. “There happened to be no other conflicting events and people understood quickly that Tale was the party of the night”. The masses flooded to the laidback location and the event was a booming success from the start. The party was recreated two months later where the team printed thousands of dollar bills with Biggie Smalls replacing George Washington, of which fat stacks were thrown into the crowd. After making their love of rap well understood, people soon realized these guys were bringing hip-hop back and introducing it’s more electronic cousin, trap, to the island. The Tale crew is notably damn proud of bringing Lunar C, who himself expressed that he was equally happy to play in Malta. I went to Tale’s last event at Kuya on the Sliema seaside for an afternoon pool party under the sun. Over an afternoon, each team member played a different style of beat and rhyme, with people on inflatables and Gerben leading a game of floating beer pong. A couple Corona’s down and I’m in front of the decks, with a mega fan breathing life into the toasted crowd. The Choice Is Yours from the Black Sheep comes up and everyone is bumping. “We go through the history of hip-hop from the 80’s, 90’s and onwards. Jack is all about the 90’s. We usually work our way up and then have a live group play before doing grime or trap,” says Adrian. For those dissuaded by trap, take it from Gerben: “At first I was doubting it, but you have to get used to trap – it definitely gets people going”. The Tale group sees the money earned on the events as fuel for the next banger. “We reinvest the money earned from the event into future parties – we all have other jobs and let Tale fund itself”. The group supports larger sized parties, which is a method for them to keep the prices down and comfortable. With larger parties comes limited space, especially in Malta, but in seeking other venues, they are confident where the parties are going and how they are evolving. From Funky Monkey, Gzira to Kuya, Sliema catch these guys outside (or even better, on a boat) this summer. All credit for images used goes to Nic Media.